According to industry experts, the United States cosmetic industry is the largest in the world estimating a total revenue of $54.89 billion. Makeup sales account for a large piece of the pie at $932 million. If you have been on Instagram, YouTube or Pinterest recently, it is clear makeup dominates social media. As a highly visual, interactive category with instant gratification, it is not a surprise that products like foundations, lipsticks, eyeshadows, and highlighters bring in the most likes, views and comments. The popularity of makeup is a hot topic for traditional media to cover as well. Top beauty editors, bloggers and writers are always looking for the next best product to share with their readers. An industry with high volume sales, also means stiff competition. What is the best way to break through the clutter so your brand stands out? Picking the right PR firm that specializes in Make Up PR is key. With media having so many products to choose from, a PR agency with in depth knowledge of the makeup industry is vital. At Janice McCafferty PR, we have years of experience working with cosmetics companies, building strong relationships with top consumer and professional media outlets. We connect your brand with the top magazines, websites, influencers and TV shows so you can reach your target customer. In a crowded marketplace, we bring real results and keep your brand in the news. 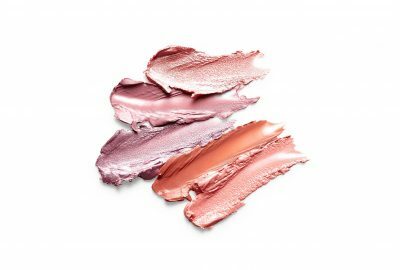 As a top beauty PR firm, we have worked with product lines like Makeup Revolution, Osmosis Colour Mineral Cosmetics, Nuest Cosmetics, Cherry Blooms and more. In fact, Janice McCafferty PR launched Makeup Revolution at Ulta Beauty in the United States, a British brand known for their exciting, high quality products at affordable prices. For a free PR consultation or more information on our public relations and influencer gifting services for makeup and cosmetics brands, please send us an email at jessica@janicemccaffertypr.com.